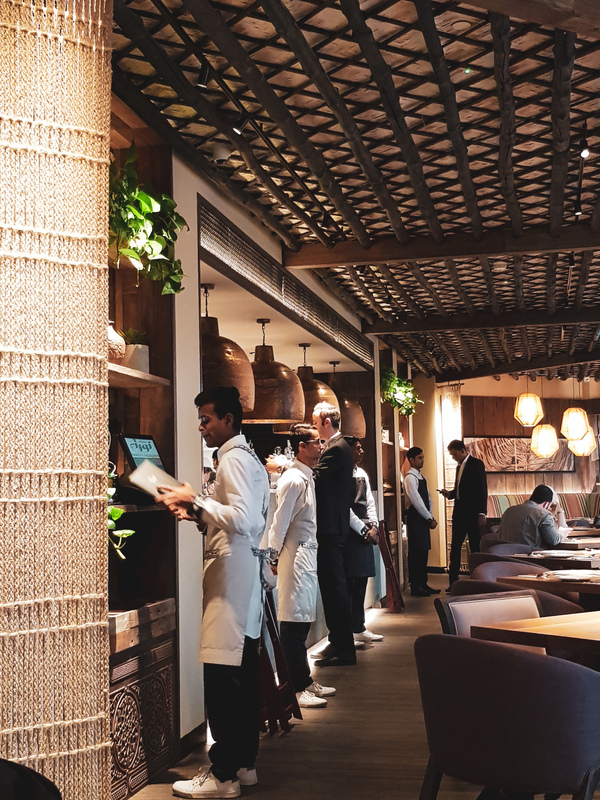 If you visit any mall, open any delivery app, or look up the food scene on social media, you’ll probably notice there are a growing number of Kuwaiti restaurants opening up. People’s typical all-time favorite restaurant for Kuwaiti food has always been Freij Sweileh. Whenever anybody asks about the best place to enjoy Kuwaiti cuisine, this is usually the first restaurant that comes up. In my opinion, it’s not the only top one out there. I had a period of “Kuwaiti food” obsession where I had an unusual appetite for Kuwaiti dishes almost all the time. This is when I resorted to feeding my craze by searching up Kuwaiti restaurants for food delivery; and there are tons of them. Every now and then I would notice yet another new Kuwaiti restaurant featured on Carriage or Talabat. Some of the ones I’ve tried and enjoyed to date are Seventies, Emberech, and Maryam Brothers. There’s also a new place called Kharoof, that specializes in baby lamb Kabsa. But Kuwaiti food is not that diverse. There is really not much room for creativity. So you might think, what difference does it make where I choose to have Kuwaiti cuisine? After all, it’s mainly rice with chicken, lamb or fish. When you are accustomed to eating Kuwaiti cuisine though, you do tend to see and taste the differences in the way the food is spiced, cooked, and presented. The rice could be more aromatic, the fish or meat more tender, the type of hashwa used (stuffing of herbs and spices) more interesting and flavorful. These all play a role in coming together to form and represent the perfect traditional Kuwaiti dish. The other day at the Avenues Mall we decided to try the new restaurant Amiti Noora (Auntie Noora), which recently opened only a week ago. I always associated Kuwaiti cuisine with comfort food and I got this impression from Amiti Noora, which according to their philosophy, is about welcoming people to indulge in home-made style Kuwaiti food cooked with love. The sound of two oud players calls upon the attention of hungry diners at the entrance. The place is quite cozy and pleasant, with touches of Kuwaiti decor but at the same time incorporating foreign elements. For our first visit we tried the breakfast. We started with a cheese platter (not typically Kuwaiti) cheese sambosas, and flatbread with halloum, tomatoes and zaatar oil. Kuwaiti food doesn’t have appetizers, so most of the starters were inspired from the Middle East. We were also served bread with a variety of spice pastes such as Maabouch and achar (pickles). I should point out the dough on their flatbread was outstanding. It’s not that easy to find good-made bread here in Kuwait, but this was just so well done. I was craving balaleet at the time and I was happy to find it there. Normally, you don’t find a Kuwaiti restaurant that serves every kind of traditional Kuwaiti dish, but Amiti Noora does which gives it a check mark. I was so eager to dive into the balaleet that I forgot to take a photo! To those who don’t know, balaleet are sweetened noodles with saffron and rosewater, complimented by a salty omelette on the side. For dessert, we went for a milky saffron pudding topped with pistachios and sprinkles of darabeel (a type of crisp cinnamon wafer) and Kuwait’s indulgence called lgaimat – my guilty sugary and syrupy pleasure! When I see these on any menu I can’t help but order some. On our next visit we tried the lunch, which turned out to be just as delightful. We ordered Gaboot, a type of stew consisting of Kuwaiti dumplings stuffed with onions and raisins together with chunks of soft meat, and a side of fragrant white cinnamon rice. We also got the machboos with lamb neck. The lamb neck fell apart with a melt-in-the-mouth tenderness. The gaboot is not a dish that people normally make at home anymore, it’s a very old dish, so having this authentic recipe available at restaurants is nice. All in all, everything was delicious! Machboos with neck of the lamb and hashwa on the side. I enjoyed the dining experience at Amiti Noora, and I am actually eager to return to try their seafood. I will be sharing an update on my blog post until then! Previous PostThe Ukrainian Virsky National Dance Ensemble – First time in Kuwait! Next PostPhoto Diary Part 1: Wandering the corners of Kuwait’s Old Souk, Mubarakiya.